As Collateral Management LLC's president and chief executive officer, Jessica's responsibilities include new product development, National AMC compliance, and running the day to day operations. These responsibilities include the oversight of all residential and commercial products. 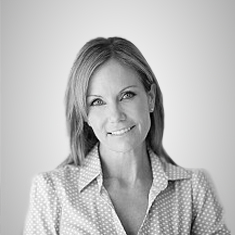 Prior to co-founding Collateral Management LLC In 1998, Jessica founded The Appraisal Firm. A real estate appraisal firm that serviced several of the Midwest states. She has been licensed over a decade and she currently holds a Certified Residential Appraisal license in Florida. In 2009, Collateral Management opened its doors. Since then, Jessica has become a member of several professional organizations including; Mortgage Brokers Association, TAVMA, Florida Association of Mortgage Professionals, BBB and the Appraisal Group. Jessica is heavily involved with numerous non-profit organizations and has over fifteen years appraisal management experience. Connect & Get Social With Us! Kathleen is part of our Client Relations Team. She comes from a strong background of Financial Services, Real estate and Property Management. Her depth of experience assists in providing comprehensive service to Collateral Management’s clients in a variety of capacities as the Client Relations Manager. In this role, Kathleen assists with the Collateral Management’s client services area and the processes and procedures that deliver our clients top notch service. She pays constant attention to the client experience related to account servicing. 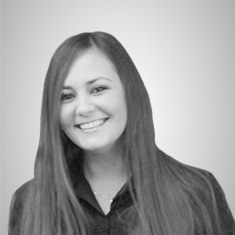 Kathleen is based in our Fort Lauderdale office and is well known to most all of the clients at Collateral Management. Kathleen was born and raised in Florida so she is a beach girl. After high school graduation she pursed communication and marketing in college and began working in the Real Estate & Management field. Her experience and knowledge is a huge asset to Collateral Management. She is continuously educating herself with ongoing classes. In addition to her extensive diverse experience she also maintains her 2-15 Life, health and Variable Annuities and her Series 6 license. On her free time, Kathleen enjoys yoga, running and spending time with her family at the country cabin. Rachel Margolis serves as a National Branch Support Manager at Collateral Management. Rachel is the welcoming voice you may hear when you call into the firm. She is responsible for office management, coordinating, scheduling and all communications for our clients and vendors. Rachel also is a primary contact for new vendors and other client account servicing needs. 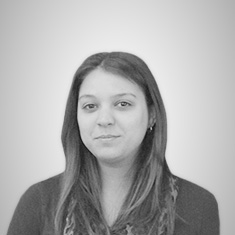 In addition, she works with the Client Relations team and specialists by handling key duties and functions. 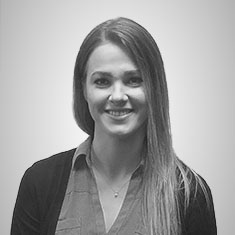 Rachel joined Collateral with years of experience in diverse fields such as administrative, sales and marketing. Rachel is a 2007 graduate from the University of Florida, where she earned her Bachelor of Arts degree with Mathematics major and an education minor. She was born in upstate NY but has been in Florida over a decade. Outside of work Rachel enjoys spending time with family and friends. Her light hearted personality keeps everyone laughing. Some of her favorite activities include impersonating, bowling and karaoke. 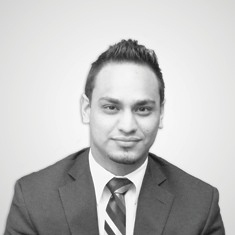 Sebastian is responsible for all aspects of Vendor relationships and order management. He serves clients by implementing and coordinating Real Estate Appraisals Nationwide. 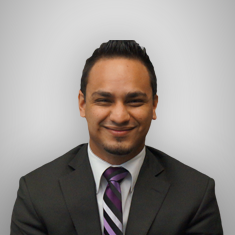 He works closely with our Vendors to develop strong relations and creates consistently for both our Vendors and Clients. He serves as the liaison between both parties. Sebastian is a 2013 graduate from Florida International University, where majored in Political Science with a Minor in Criminal Justice. Throughout college Sebastian was active with campus organizations which included serving as the Chief Justice of the FIU Student Government where he worked with law students in interpreting cases. In addition, he served as FIU Senator and lower division Senator. Sebastian currently interns with Velasquez Dolan Arias, P.A. He also participated on multiple intra-mural sports teams. Sebastian has been an avid soccer player since the age of ten. In his free time, he enjoys playing football, running and spending time with his family. Sebastian was born in Venezuela and immigrated to Philadelphia with his family at an early age. Although a Florida resident now, he is a huge fan of the Philadelphia sports teams! 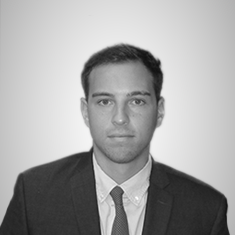 Nathan joined the Collateral Management team in 2013, bringing with him over three years of experience in the Insurance & financial industry. Nathan is a Vendor service specialist and assists with providing the best customer care and loves helping others. Nathan received his Bachelors of Science in Business and Administration degree from the University of Florida, where he graduated with a major in Management. In addition to his extensive diverse experience he also maintains 520 license in Florida. In his spare time, he enjoys the outdoors. He spends as much time as possible at the beach playing volleyball. Cooking, kayaking and traveling are just a few of his passions. 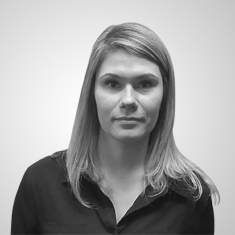 Caroline works closely with both the operations and vendor teams at Collateral Management, producing reports, conducting research, helping to manage and maintain data integrity and other activities that support overall Vendor portfolio management. She is responsible for working with both new and current vendors on account openings. 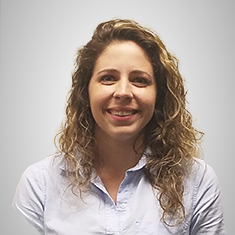 Caroline joined Collateral Management with more than ten years of experience in customer service, management; sales administration, project management, and operations support roles. When she’s not working, Caroline enjoys participating in her Girl Scout activities as a trainer. In addition she looks forward to leading her Church in an annual Confirmation retreat. She remains very active in the community and enjoys dedicating her time to others. 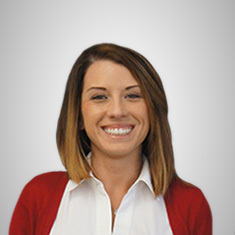 Megan Grass serves as a Client Relations Specialist at Collateral Management. Megan is the welcoming voice you may hear when you call into the firm. She is responsible for status progress, coordinating, scheduling and all communications for our clients and vendors. As a Florida native, Meghan attended collage here in South Florida where she earned her credits at Palm Beach State College and Nova Southeastern University. Outside of work Meghan enjoys spending time traveling, enjoying the outdoors, the beaches and shopping. Her favorite food is Strawberry Shortcake paired with some of her favorite shows Bachelor/Bachelorette. She is always smiling and lights up the room with any crowd. 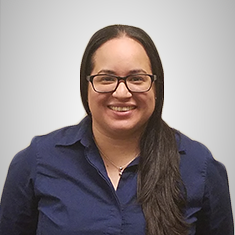 Stephanie Rosales serves as an Appraisal Audit Specialist at Collateral Management. 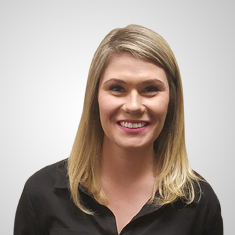 As part of compliance team, Stephanie assists with compliance functions with respect to delivery of appraisal reports within the scope of regulatory, quality, state guidelines and ethical parameters. 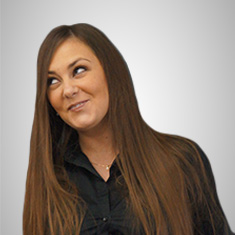 Stephanie’s background includes Operations management, Customer service and Credit specialist. She attended Florida Atlantic University for her bachelor’s in public administration. On her free time, she loves spending time with family, friends and dog. She loves watching Bob’s Burgers and Parks and Recreation. She is a South Florida native and loves the tropical weather. You will always catch her smiling! Susan is responsible for development and oversight of the accounting policies and procedures, implementation of internal accounting control guidelines, leadership to the appraisal management accounting team, and corporate financial reporting. Susan is also the point person for all the payroll and office management needs and approvals. She is directly responsible for maintaining the integrity of all financial services work. 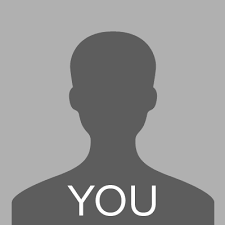 Serves as a Client Relations Specialist at Collateral Management. Works closely with both the operations and vendor teams at Collateral Management, helping to manage and maintain file workflow and other activities that support overall order management. She is full on energy! Timothy Kennedy serves as an Appraisal Audit Specialist at Collateral Management. As part of compliance team, Tim assists with compliance functions with respect to delivery of appraisal reports within the scope of regulatory, quality, state guidelines and ethical parameters. His brings plenty of experience with him. His background includes Post Closing Auditing for several years. He attended Ashford University for Business Management. On his free time Tim enjoys going to the gym, watching sports and spending time with friends. Originally from Chicago, he embraces the Florida weather and takes full advantage of the sun. Serves as an accounting assistant. Provides general ledger accounting and financial reporting services for Collateral Management. Duties extend to assisting with all vendor payables. 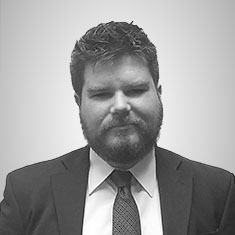 Justin Noe serves as an Appraisal Audit Specialist at Collateral Management. 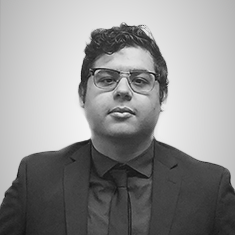 As part of compliance team, Justin oversees audit and compliance functions with respect to delivery of appraisal reports within the scope of regulatory, quality, state guidelines and ethical parameters. His extensive background includes management positions in the medical, automotive and service industry. He earned his bachelor’s in business administration at the American Intercontinental University. 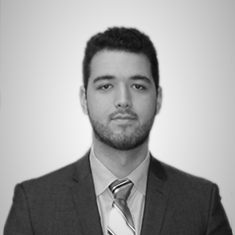 Justin is familiar with all facets of our operation, keenly aware of the importance of client expectations, audit guidelines and is gifted with exceptional interpersonal skills. On his free time Justin enjoys the beach and spending time with his friends and family. He is a Florida native and loves Cuban food. Vedran is a Vendor Relations Team Leader within our recruitment and development team. Vedran joined the Collateral Management team in 2016. He earned his Bachelor of Science in Biology at Loyola University in Chicago. His diverse background from journalism, customer service and corporate training gives him the perfect edge. 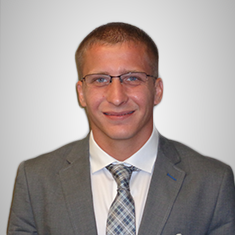 Vedran spends his time working with Vendors across the country on complex and escalated files. Vedran is well traveled. He has spent his childhood in places such as Bosnia, Serbia, Italy and then finally calling home to Chicago. Now being a resident of Florida, he is taking full advantage and enjoying the great weather. When he is not working he enjoys relaxing at the beach with friends and playing tennis. You can always catch him sneaking in an episode of Narcos! 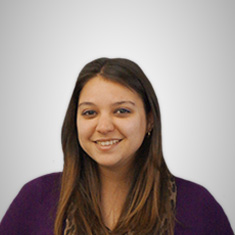 Stephanie Cabassa is part of our Vendor Relations Team. She comes from a diverse background of law enforcement and health care services. She spends her time working with vendors nationwide, assisting in order placement and recruiting. Stephanie was born and raised in Florida, so she is a beach girl. She loves spending time with her family, paddle boarding, swimming, hiking and enjoying local foods. Her experience and knowledge are a huge asset to Collateral Management. She is continuously educating herself with ongoing classes. On her free time, Stephanie also enjoys catching up on her favorite show such as Shameless and Homicide documentaries. 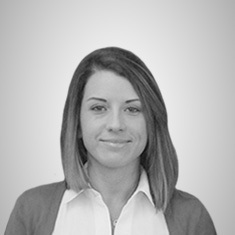 Andrea Nuzzolillo serves as a Client Relations Manager at Collateral Management. Andrea assists in both client and vendor departments. She is responsible for office management, coordinating, scheduling and communications for our clients and vendors. She oversees a team of vendor relations staff and assists them with the daily workflow and any escalated concerns. Andrea joined Collateral with experience in diverse fields such as technology and business. Andrea is a graduate of East Central University, where she earned her Bachelor of Science in Business administration. She later moved to Portland and eventually relocated to Florida. Outside of work Andrea enjoys spending time at the beach, reading, traveling and exercising. She is always laughing and can brighten anyone’s day. Some of her favorite shows when she is winding down are Seinfeld, Friends, the office and breaking bad. 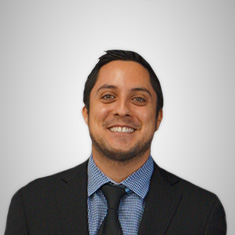 Daniel Garces is part of our Vendor Relations Team. Daniel spends his time working with vendors nationwide, assisting in order placement and recruiting and workflow verification. His background involves child and youth worker, freelance writing and editing as well as sales. He earned his Bachelor of Arts in History at Florida Atlantic University and has extensive experience brand building on social media. Although he was born in New Jersey, he was raised in Florida. On his free time, Daniel enjoys writing, recording music and reading. You will catch him watching his favorite shows Community, Black-ish and Brooklyn Nine Nine. 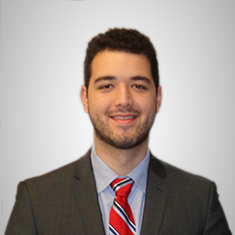 Matthew Kail is one of our Vendor Relations Specialist. 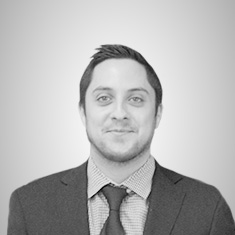 Matt joined the Collateral Management team bringing with him a strong managerial and marketing background. Matt is a Vendor service specialist working directly with vendors daily as part of our recruitment and development team. Originally from Pittsburgh, Matt still visits his family frequently. Matt received his Bachelors of Science in Communications from Pennsylvania State University. On his free time, you will find Matt at the gym, playing basketball or kicking back on the beach with an ice-cold beverage. He loves good Lebanese food and laughter. When he slows down, some of his favorite shows include stranger things and curb your enthusiasm. Collateral Management LLC is comprised of the best appraisal management company professionals and former lending industry executives with over 15 years of originations and appraisal operations experience. To accommodate multiple lender platforms, we have two portals. 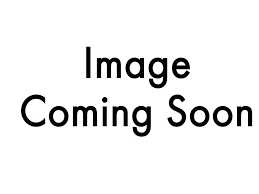 Please login via ValueLink if your order number includes a hyphen (Example: 178-12345). All order numbers formatted with no hyphen should login via Etrac (Example: 1781234).